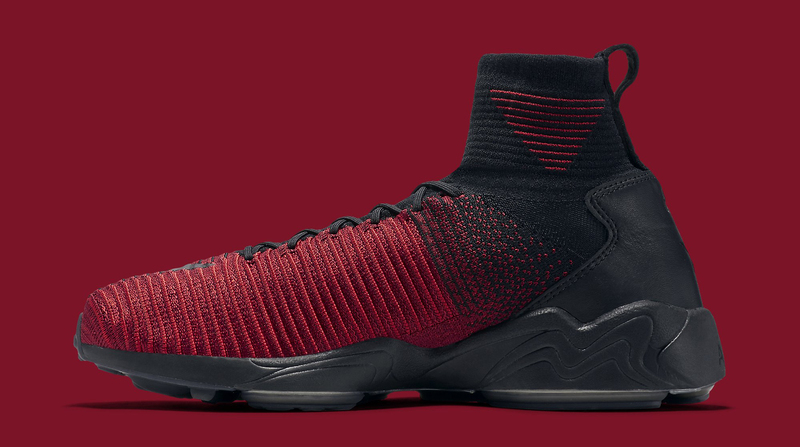 Black and red hits the Nike Zoom Mercurial Flyknit. Nike's latest soccer-to-street shoe is getting dressed up in a colorway that's traditionally been most salient on the brand's basketball sneakers. 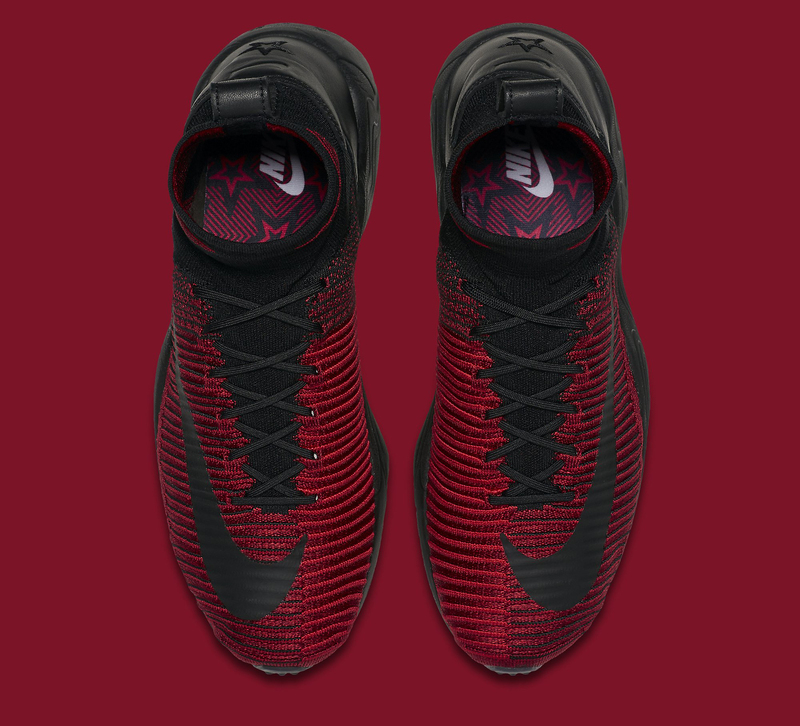 Seen here for the first time is the Zoom Mercurial Flyknit donning black and red. 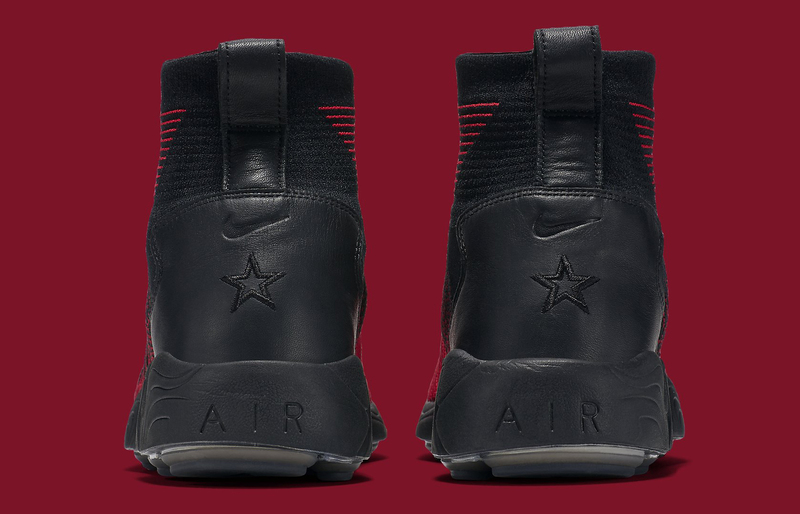 The shoe has stars debossed on the heel's leather pieces that suggest it's part of some sort of pack with a story to it, but there's not really any background available at the moment as to what they might mean. 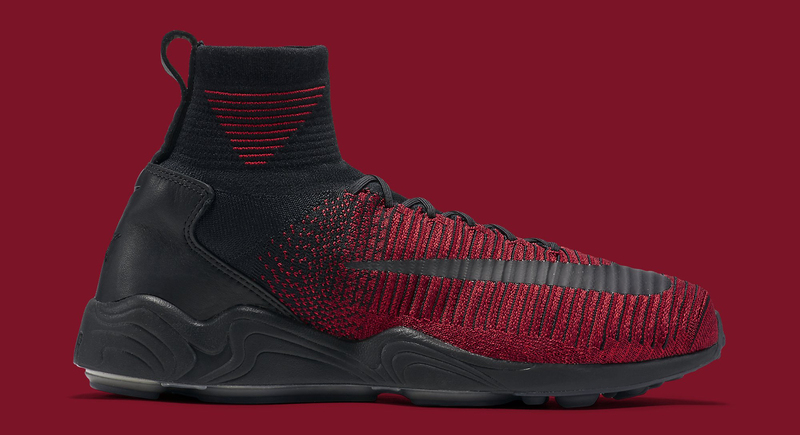 Hard release date info for this sneaker isn't really out there, but a similar Nike Air Footscape Magista is arriving on Oct. 3, so it's possible this pair will touch down then.